Per S.B. - Small, footed bowl; stoneware. 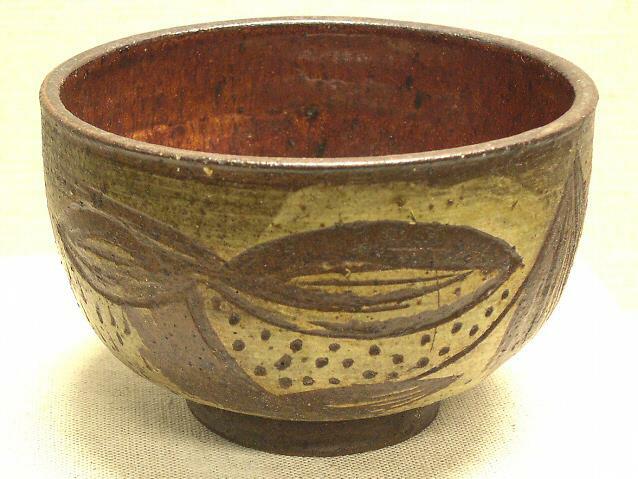 Exterior: Brown and off-white / greenish glaze; interior: reddish brown glaze with white. Leaf-like shapes around the body of the vase. Texture added with scribe to create various evenly carved dots and dashes. Verso: unmarked.